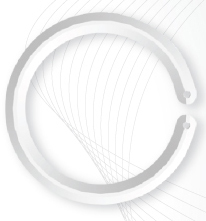 Keraring intrastromal corneal ring segments are implantable precision devices used to correct corneal surface irregularities and reduce refractive errors associated with keratoconus and other corneal ectatic disorders. Unlike other intracorneal rings, Keraring was specifically designed to treat corneal ectasia, providing better and greater corneal surface regularisation and refractive correction. Models: SI5 (5mm optical zone). SI6 (5.5mm or 6mm optical zone). Variable thickness: 150μm to 350μm (all models) in 50ìm increments. Keraring is presented with one ring segment per box. Keraring is available in two models (SI-5 and SI-6) for 5.0mm implantation in optical zones of 5.0, 5.5 and 6.0mm, offering surgeons additional options to meet each patient’s needs. Keraring offers 40 different variations of thicknesses, arc lengths and diameters, allowing for enhanced customisation of corneal remodeling and refractive correction. Keraring’s design generates a prismatic effect by which the light coming through the implant is reflected, reducing the incidence of glare and halos. Keraring corrects low, moderate, and high degrees of myopia and astigmatism. Extensive track record of use and longest follow-up worldwide: over 150,000 implants followed up for as long as 18 years. Independent clinical trails have confirmed Keraring’s safety and effectiveness. Keraring may be explanted at any time, allowing the cornea to revert to its original preoperative shape. The procedure is reversible. Refractive and topographic results may be easily readjusted by exchanging or repositioning the implant. Keraring implants may be synergistically combined with other techniques such as corneal collagen crosslinking, PRK and phakic IOL implantation. Keraring does not interfere with normal execution of lamellar or penetrating keratoplasty, if needed. Keraring patients report highly positive improvements in their quality of life. Minimally invasive technique allows patients to rapidly resume their normal activities. Topographic and refractional changes are noticeable right after implantation and stabilise in 3 months on average. Keraring implantation is a simple outpatient procedure performed under topical anesthesia. Surgical instruments have been specifically developed by Mediphacos for manual and femtosecond laser assisted techniques. Keraring surgeons must attend one of the certification courses regularly offered by Mediphacos and its authorised distributors. Please contact us for current program schedules or to request training in your own practice. Keraring surgical outcomes are greatly dependent on accurate selection of implant size and position for each individual patient. Based on extensive statistical analysis of results, Mediphacos constantly updates the calculation nomograms and provides surgeons with personal attention and highly reliable expert support.